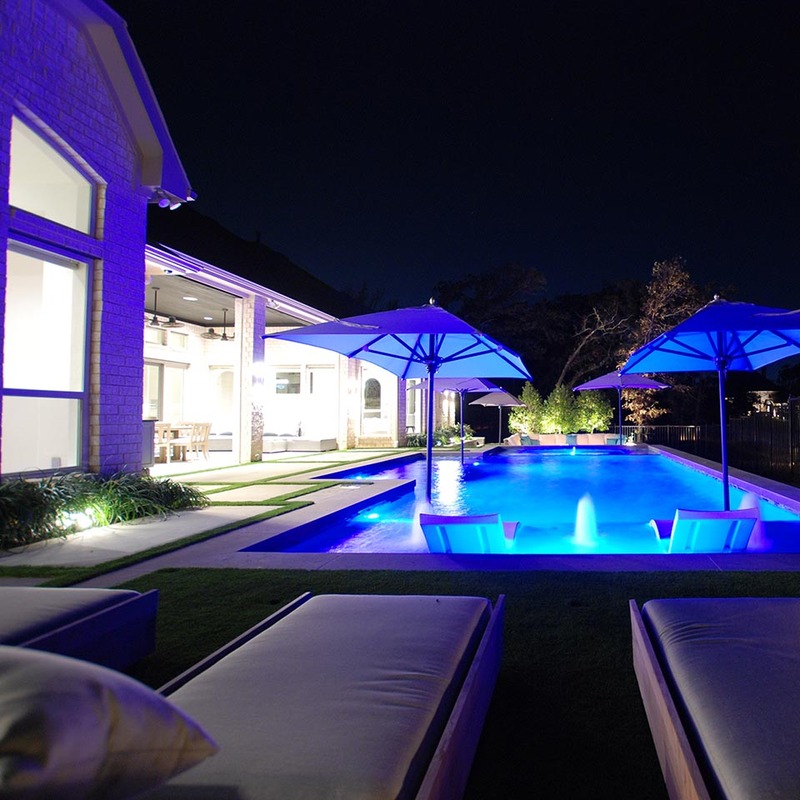 Developing a gregarious open experience with areas of specific entertainment for guests were the driving considerations for this modern pool project. This new home build is positioned on an elevated plateau overlooking a private park with natural pond. 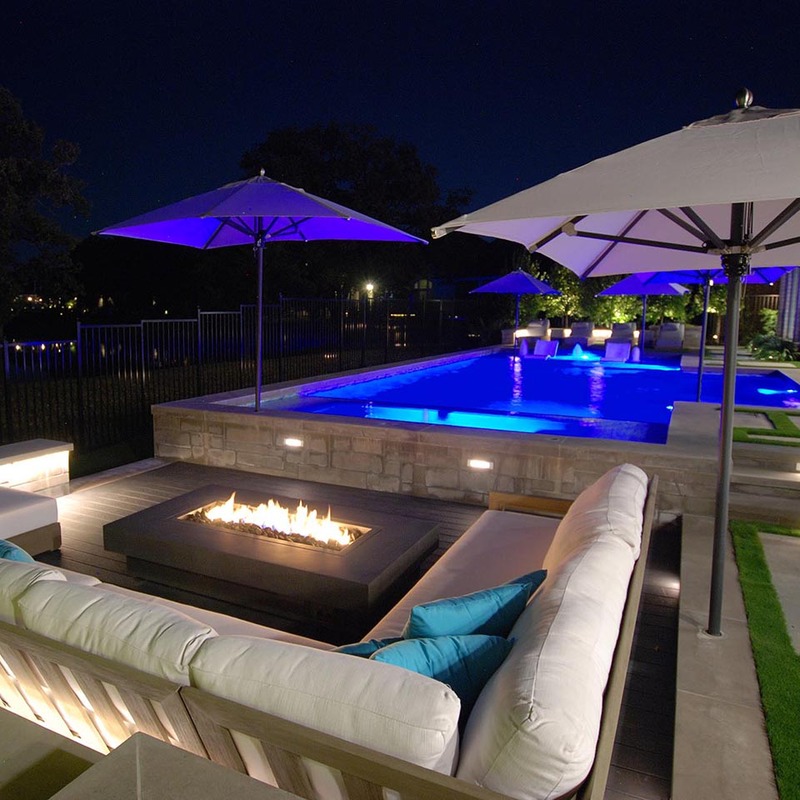 A key consideration for this project was a fully functional evening entertainment garden after the sun goes down. 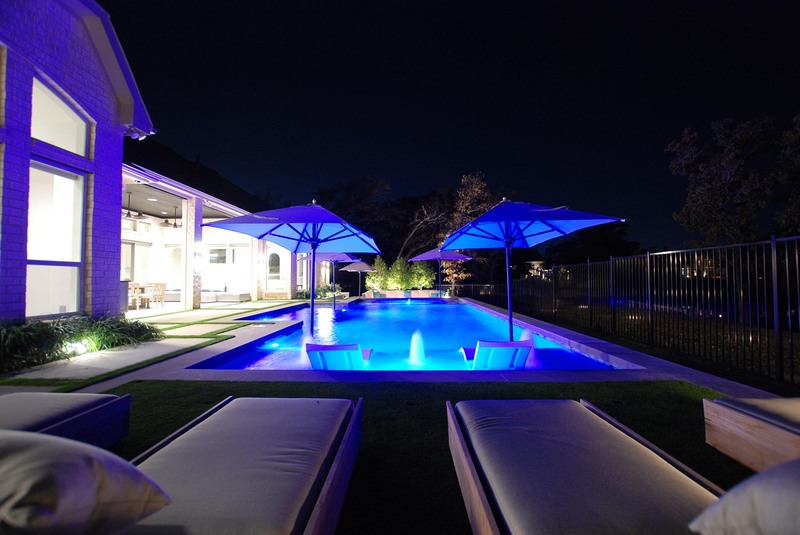 This interactive modern linear pool is located off the luxurious terrace within the footprint of the home. This terrace includes a ceramic clean line tile floor, outdoor kitchen complete with Green Egg, multimedia entertainment areas, and furnishings for dining and relaxation. 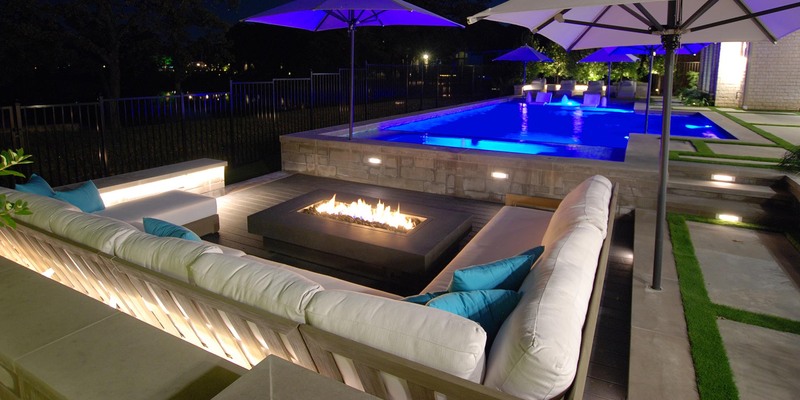 The pool area features a new rectangular fire pit surrounded by a modern outdoor conversation area. The resort style chaise lounge area is positioned on the other axis of the pool and is framed with stone seating walls and modern planters that create focal points and frame site lines to the greenbelt park and pond. The pool includes a tanning ledge and water level oversize submerged spa to place guests at waters edge. Other amenities include custom umbrellas for sun protection, decorative architectural concrete softened with artificial turf meadows and joints separating the paved surfaces. 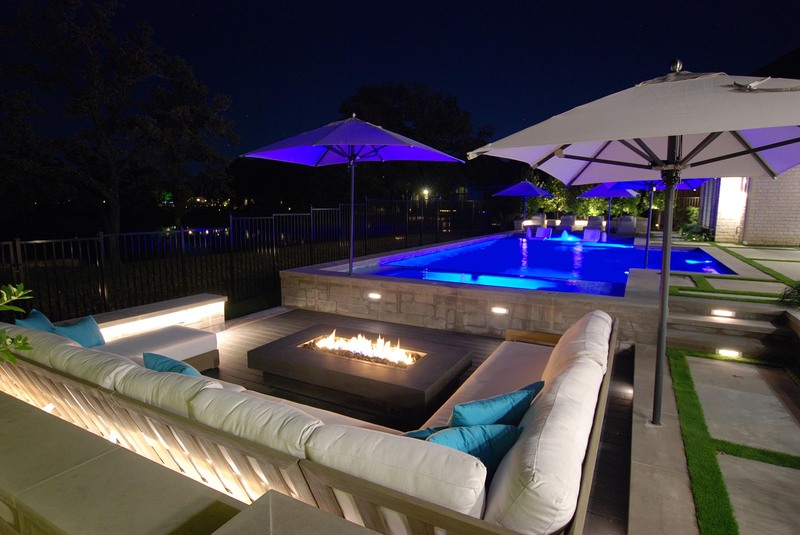 Landscape lighting effects included LED uplights and down lights in trees, accent lights in the garden and recessed lighting in the steps and face of the exposed pool beam.